We will not disclose who is reporting directly from Ukraine for security reasons that should be obvious. So… oops they did it again – by night, at the best tradition of KGB. 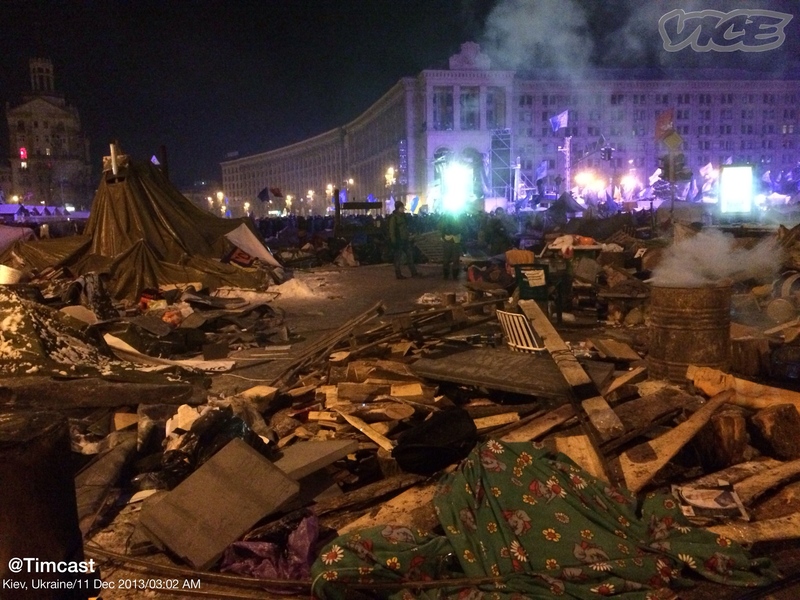 The Ukrainian riot police are moving against protesters and are using tear gas and batons. They are driving people out of the center of Kiev slowly and confidently. Traffic police are now stopping cars from entering the city center, and new riot police are approaching everyone. The generals promise not to beat people, but just allow the “city workers” to “clean up the perimeter” is what they are claiming. But officials are in fact detaining protesters, beating them, and they are arresting them. The West has tended to misreport what is happening there. The reports were that these are protesters angry about Ukraine not joining Europe. However, what is going on is the real seeds of revolution. All these people in the square came there just because they realized how far all this corruption and “family” thing really goes in government. They feel it is not normal to live in fear, that anybody can be fired or even beaten and jailed for things they didn’t do just because they become inconvenient for someone powerful. They see there is not even the smallest chance for economic development when any business has to bow to a “big daddy”…so it cannot continue like this. The people are unbelievably united in this respect. Even those living in the east of Ukraine that are pro-Russia, even those who voted for Janukovich before, everyone is united against a corrupt government. They all see that it is very wrong now and if they don’t speak about it now, maybe afterwards there will not be a possibility even to speak about it (like in Belarus). We owe it to the courageous demonstrators to speak the truth about what is happening in Ukraine.